Jena, Germany (02.10.2018) It is reputed to stop skin from aging, reduce joint degeneration in rheumatism and arthritis, and even protect against cancer and cardiovascular diseases. For nearly 100 years, researchers have been studying the effects of vitamin E – scientific name alpha-tocopherol – and they have to a great extent clarified the chemical basis of its action. "Vitamin E is an antioxidant; it neutralises cell-damaging free radicals," explains Dr Andreas Koeberle of Friedrich Schiller University Jena (Germany). However, although this has been sufficiently corroborated in cell and animal models under laboratory conditions, Vitamin E has so far failed to convince in clinical studies. "Here, we find very heterogeneous results," says Koeberle, a biochemist at the Chair of Pharmaceutical/Medicinal Chemistry. "Not just that the positive effects often fail to manifest themselves as strongly as expected, but sometimes administering vitamin E actually has detrimental effects." Dr Koeberle and his colleagues have now found a possible cause for this in a broad-based interdisciplinary study with partners from France, Austria, Italy and Germany. They have shown that the effect of vitamin E, which is taken as a tablet or capsule, is not based on the vitamin itself, but rather on the effect of a metabolite. This substance, called alpha-carboxychromanol, has a promising anti-inflammatory effect, among other things. The researchers have published their results in the specialist journal Nature Communications (DOI: 10.1038/s41467-018-06158-5). Alpha-carboxychromanol is produced in the liver. "However, the degree to which this occurs varies greatly from one patient to another," says Prof. Oliver Werz, who led the study together with Dr Koeberle. As the Jena researchers have shown, the level of the metabolite in the blood of participants ranges widely between individuals. "If the effect of vitamin E depends on how much of the bioactive metabolite is produced, this explains very well why the same amount of vitamin E has a particular effect in one person and perhaps a much more limited effect in another," adds Werz. He explains further that these findings underpin how useful personalised medicine could be. "If we first characterise a patient's metabolism, it will be possible to achieve therapeutic success – and not just with vitamin E – with much greater precision." In this study, the researchers have examined in detail the anti-inflammatory potential of alpha-carboxychromanol. The bioactive metabolite inhibits a key enzyme in inflammatory processes: 5-Lipoxygenase (5-LO). This is a very promising finding, according to Koeberle, because 5-LO plays a central role in inflammatory diseases such as asthma or arthritis. "However, to date there is only one authorised drug that inhibits 5-LO, but due to its strong side effects, its use is very limited." 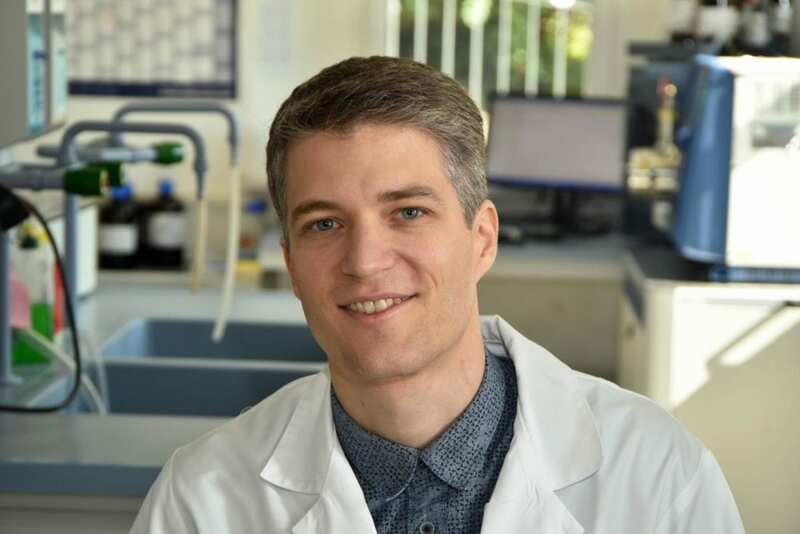 The researchers in Jena want to use their findings to develop a new drug candidate for the treatment of inflammatory diseases. A first active substance derived from alpha-carboxychromanol has already been patented, according to Koeberle.